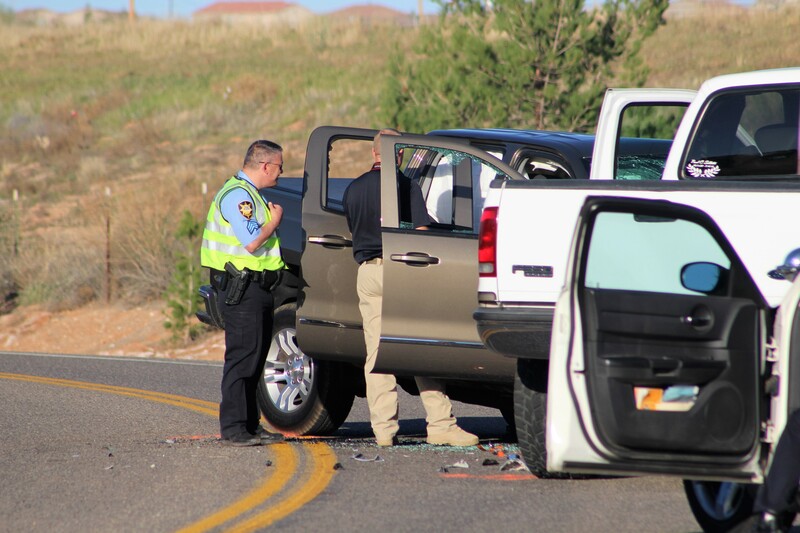 ST. GEORGE — A woman was rushed to the hospital after two full-size pickup trucks hit head-on Thursday evening on Pioneer Road, requiring a road closure and an accident investigation team response. Emergency personnel were dispatched to a reported head-on collision on Pioneer Road just south of Man O War Road at 5:25 p.m., St. George Police Capt. Mike Giles said. 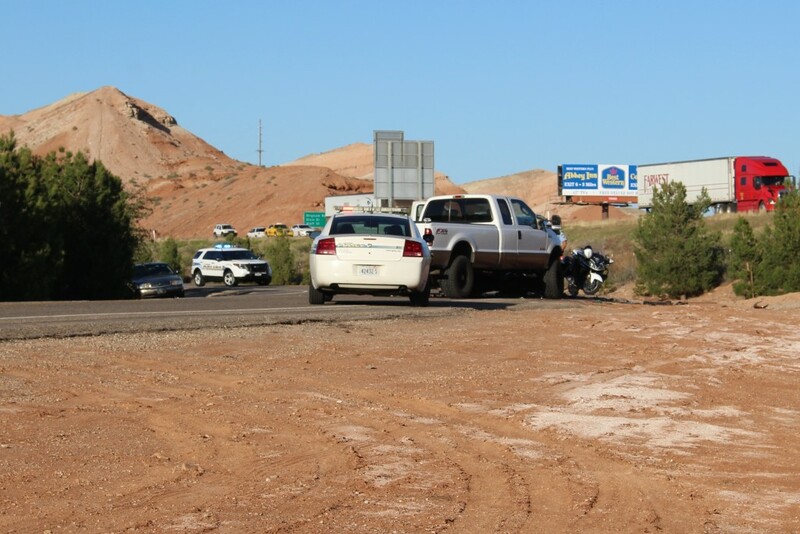 The woman driver of a Chevrolet Silverado pickup truck failed to negotiate a curve as she traveled southbound on Pioneer Road, just south of Man O War Road, and veered into the northbound lane, crashing into a Ford F-350, St. George Police Capt. Mike Giles said. 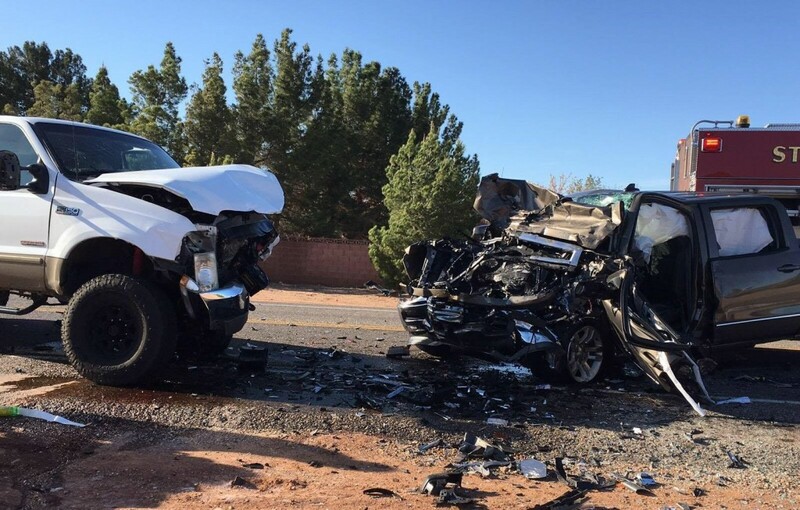 As emergency responders arrived on scene, they found the driver of the Silverado unconscious, Giles said, and immediately transported her to Dixie Regional Medical Center in St. George. The man driving the Ford was conscious and alert when officers arrived. He was transported to the hospital for evaluation, mainly as a safety precaution. There were no passengers in either vehicle. 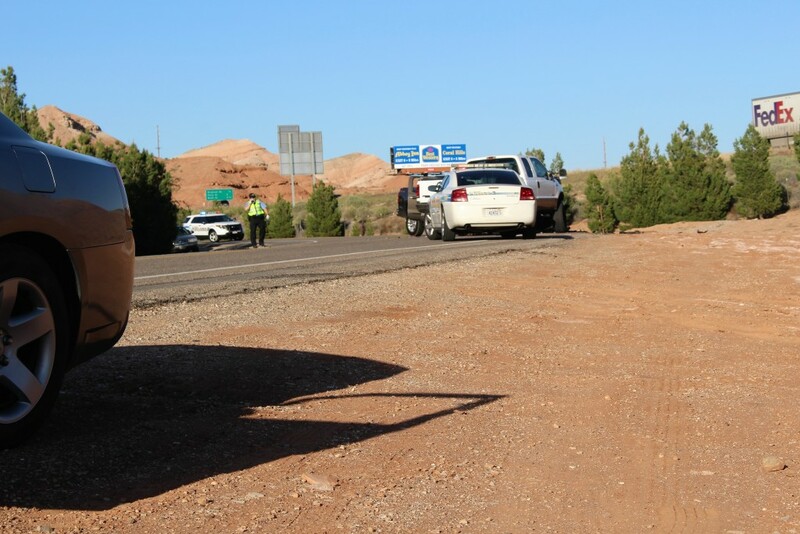 Several St. George Police officers responded to assist with the road closure and traffic control. 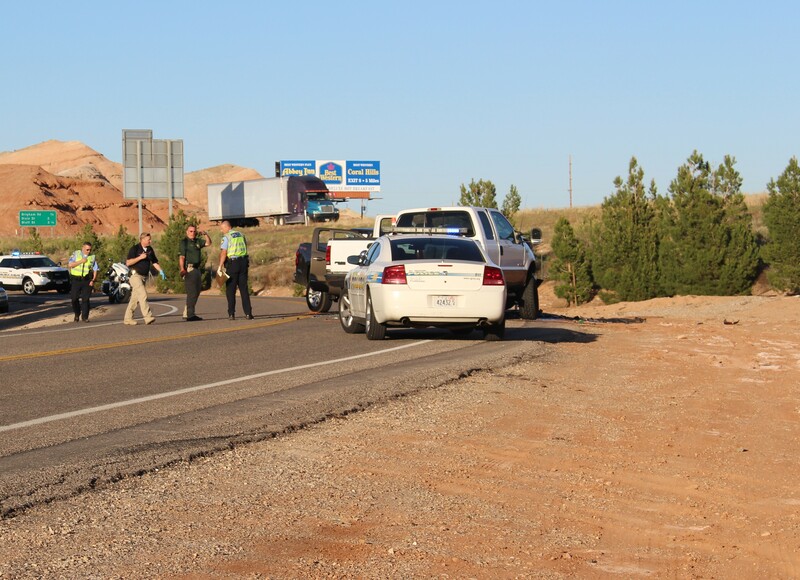 The St. George Police Department Accident Reconstruction Team was called in to conduct an investigation. Officers closed Pioneer Road between Sugar Leo and Man O War Road to document the crash and clear debris. Pioneer Road was reopened to traffic a little before 9 p.m. Both trucks suffered severe frontal damage and were towed from the scene. St. George Police Department, St. George Fire Department and Gold Cross Ambulance responded and tended to the scene.